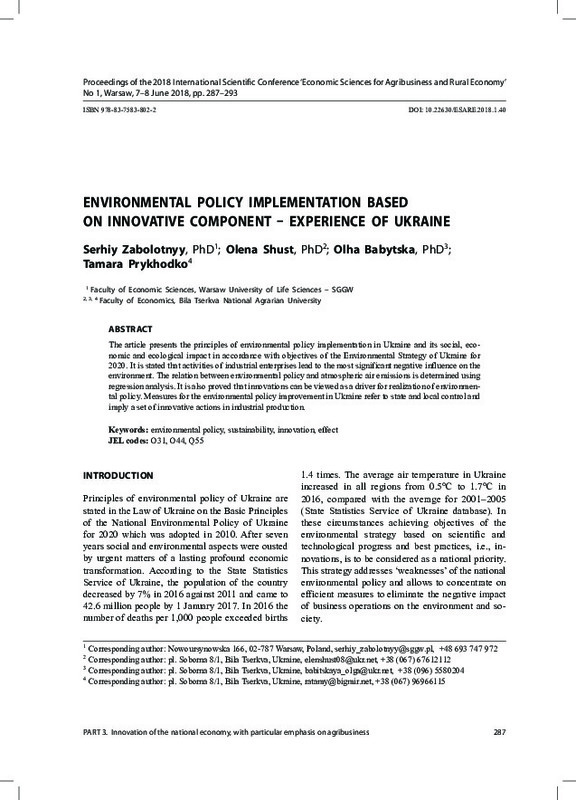 The article presents the principles of environmental policy implementation in Ukraine and its social, economic and ecological impact in accordance with objectives of the Environmental Strategy of Ukraine for 2020. It is stated that activities of industrial enterprises lead to the most significant negative influence on the environment. The relation between environmental policy and atmospheric air emissions is determined using regression analysis. It is also proved that innovations can be viewed as a driver for realization of environmental policy. Measures for the environmental policy improvement in Ukraine refer to state and local control and imply a set of innovative actions in industrial production.